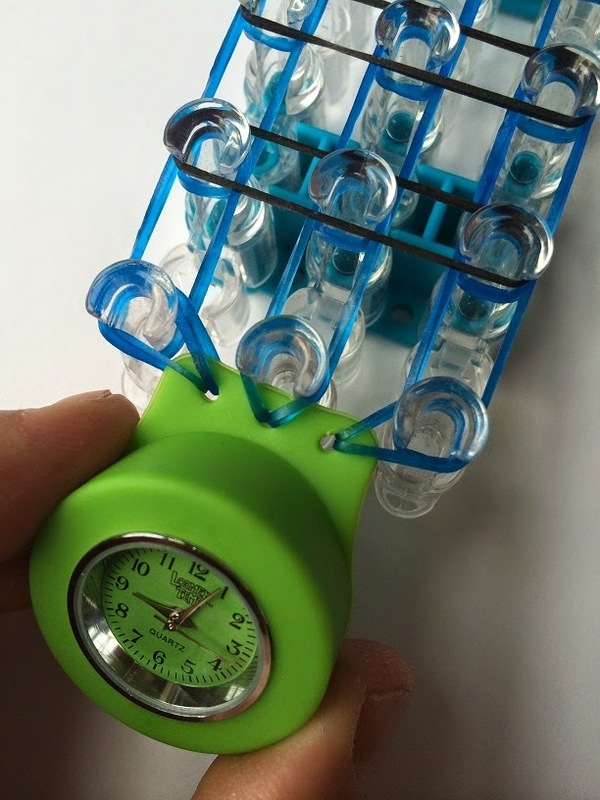 7 Kids and Us: Loomey Time Watches for Loom Bands! If you have kids or have seen kids : ) you probably have noticed these bright colored rubber band looking bracelets on them. These are Rainbow Loom or something like it bracelets which the kid has made. It's very popular right now. Loomey Time has decided to come up with a way to make the ever so popular loomey bands useful. Loomey Time, what do you think when you hear the name? Well you probably think, watch? 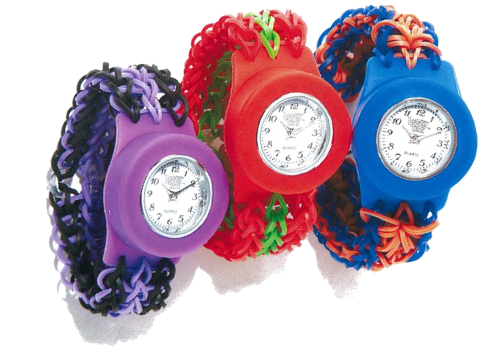 That's right, Loomey Time is a fun way to add in a fun colored time keeper piece, to your loomey bands. Loomey Time is a great way to teach your kids how to read a clock, because thanks to cell phones I am sure a lot don't know how. 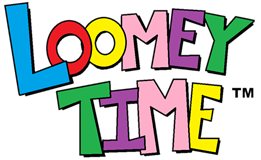 The Loomey Time is also a fun way to express yourself it comes in 11 fun colors, one even glows in the dark! This year if you have a family member or friend who owns a Rainbow Loom why not purchase them a Loomey Time piece which makes a great stocking stuffer. You can purchase your Loomey Time piece by clicking here. Be sure to keep up with the newest designs by liking Loomey Time on Facebook.